We spent most of July on our annual pilgrimage to the Hawaiian Islands.﻿ I shared some snaps of our travels on Instagram and Facebook while we were away and once again I was inundated with a huge amount of messages from excited people with lots of questions about travelling to Hawaii. I'm always happy to answer any questions you have so feel free to keep them coming. 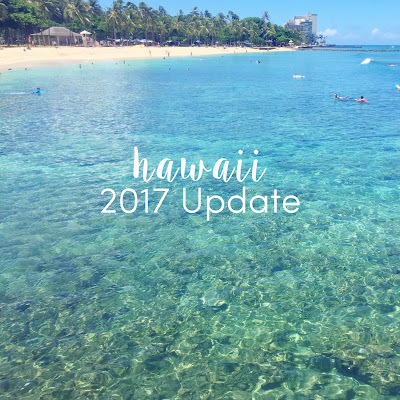 I thought I'd do a general update here on what's new, what's changed and generally awesome stuff in and around Oahu which is where we stayed on this trip. 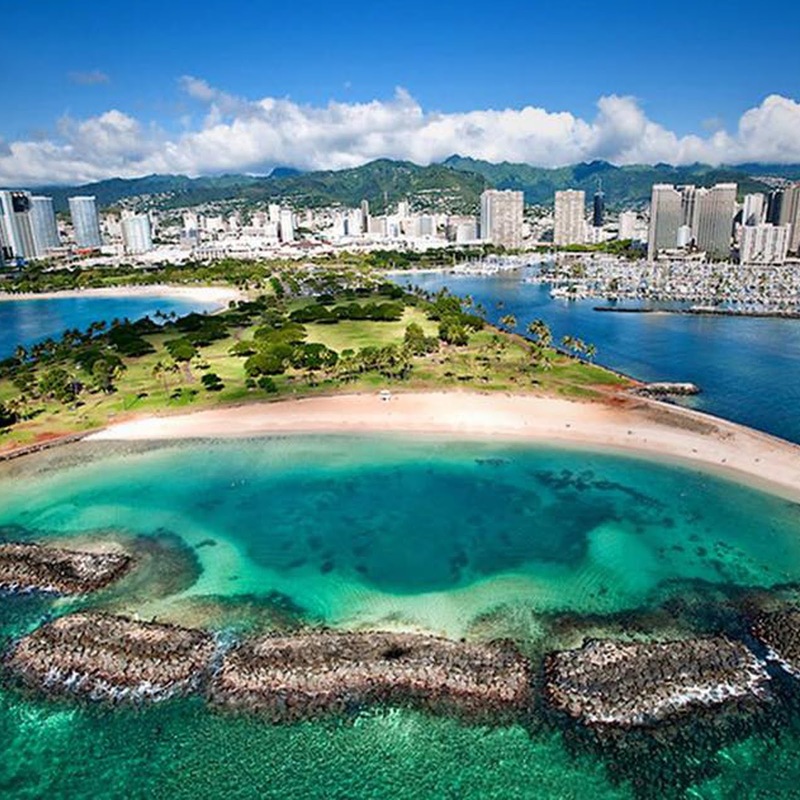 If you're planning your first trip to Hawaii then I would suggest you start back here, here and here before reading on. Where to start... There is a lot of construction going on in and around Honolulu. 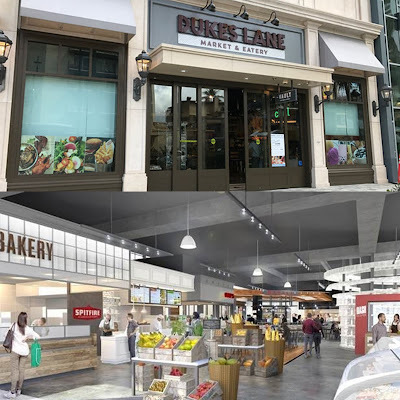 A lot of the small, old, independent stores and hotels are being torn down and being replaced with enormous new buildings for retail and accommodation chains. The largest is huge Ritz Carlton being built in central Waikiki with stage one already open and stage two under construction. There are also heaps of new and very fancy apartment blocks being built along Ala Moana just past the Ala Moana Shopping Centre. There are still plenty of older high rise hotels and condos that aren't going anywhere though. One thing that I'd never considered before when we've stayed in any hotel or condo is fire safety. Sadly we witnessed the fatal Marco Polo condo fire while we were in Waikiki where lack of sprinklers had a devastating impact. Sprinklers were not mandatory in American high-rises before 1971 so if you are staying in an older hotel or condo anywhere I would recommend checking that safety feature before you book. Thankfully the Waikiki Banyan where we stay was fully equip with sprinklers (I checked!). We actually had two night time evacuations while we were there (someone burnt their dinner!) and the evacuation alarm, strobe lighting and emergency exits all worked according to plan. All 38 floors from both towers got out safely and calmly. Carrying 20kg Maisie down 19 flights of stairs was a work out though I tell you! On a brighter note, there are lots of new and exciting places to visit. The new International Marketplace is finally open. 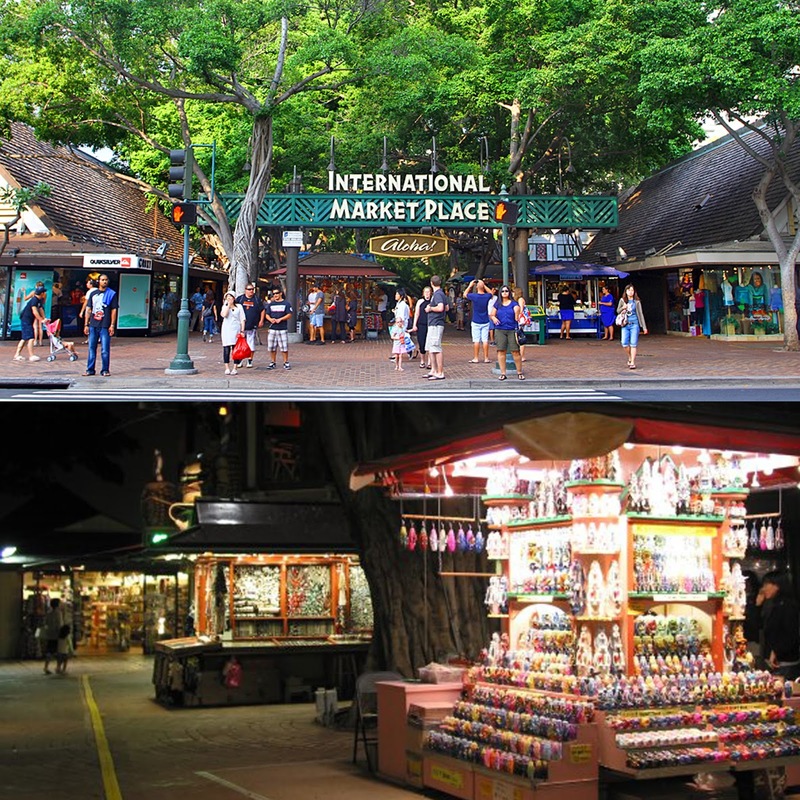 For those who never got to see the old International Marketplace, it was a huge sprawling outdoor market opened in 1956 in the heart of Waikiki filled with carts selling cheap jewelry, fake Louis Vuitton handbags, tourist t-shirts, wooden carvings and any other souvenir you could think of. It was a lot of fun to visit and barter with the stall holders. I bought some of my best pieces of turquoise jewelry there over the years. 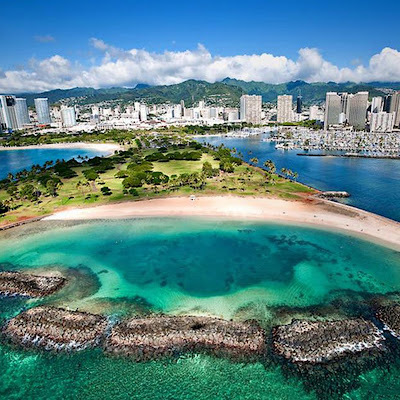 When I first started visiting Hawaii 20 years ago it was really busy and full to the brim with stalls but towards the end there wasn't a lot left in there and it was starting to get run down and a bit dingy. Even so, it was the end of an era when it finally closed in 2015. And the locals weren't happy about it either. But the new International Marketplace is gorgeous! It is so light, bright and open. 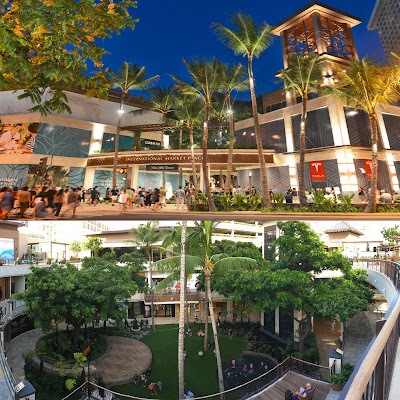 There are two floors of huge retail space which has opened up opportunities for retailers to come to Waikiki that you only previously found at Ala Moana including Saks 5th Avenue, Banana Republic, Abercrombie & Fitch, Hollister, Skechers and Papyrus plus introducing some new retailers to Oahu including Free People and Hanna Anderson. The top floor is a selection of incredible restaurants. The only thing that remains of the old market is the beautiful big banyan tree in the entry which was planted in 1850 by a couple from New Zealand. Interesting fact right there! A small portion of the original market stalls remain just down the road at Duke's Lane which is small through road by Macy's which connects Kalakaua and Kuhio Avenues. 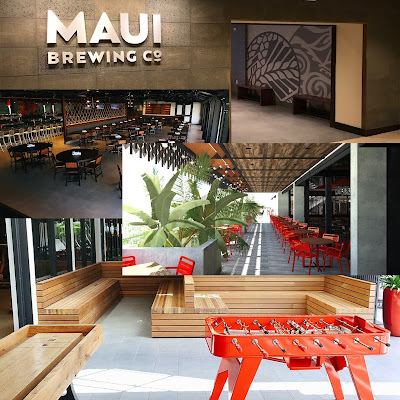 Next door to the International Markets and above Macy's is the new Maui Brewing Co. You get there by taking the worlds slowest lift up to the enormous indoor outdoor restaurant. It has one of those menus where you're planning out your next ten visits while reading it - it all looks and sounds THAT good! Not to mention the 36 craft and specialty beers they have on tap too. 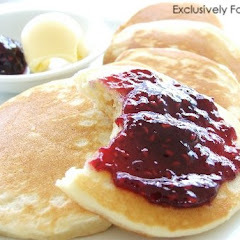 There is a really relaxed, family friendly vibe to the restaurant - they are super accommodating to kids. Plus outside there are two foosball tables and a shuffleboard table you can play in the sunshine as well as live music playing through out the day. 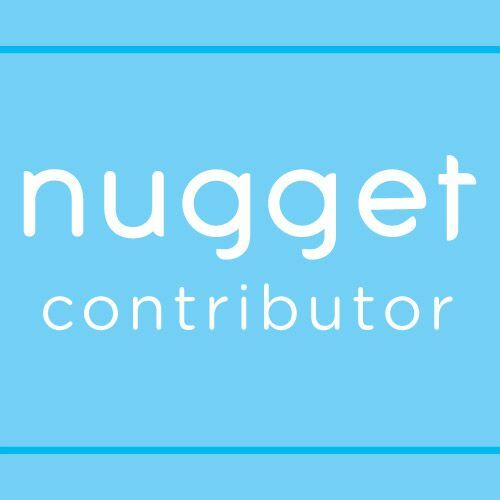 I loved it and recommend visiting here. 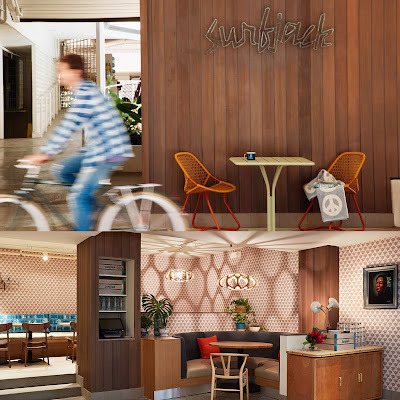 If you're like me and love anything retro then you can't miss visiting the SurfJack Hotel on Lewers Street in Waikiki. 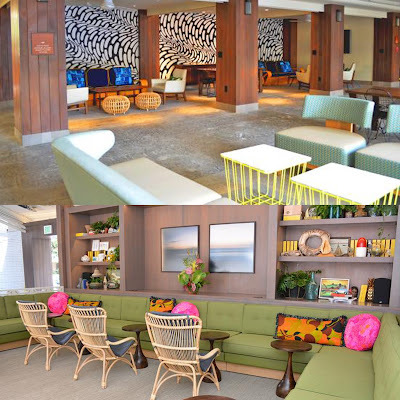 Formerly known as the less then 1 star Hokele Suites, the SurfJack reopened it's doors in 2016 to rave reviews. Everything is a nod to the golden age of Hawaii. The design and décor had me smiling from ear to ear. It was like all those years of me saying "I should have been born in the 50's" had finally com true. 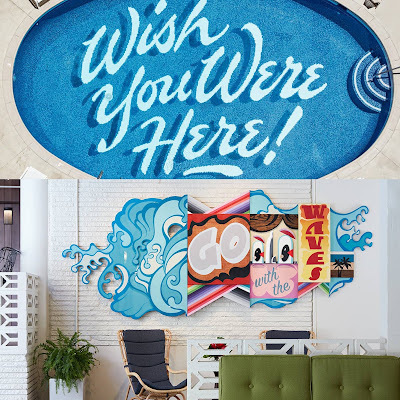 Head in for coffee and browse the gift store at Olive and Oliver, grab a drink and bite to eat at Mahina and Suns, or simply pop your head in to check out their award winning "Wish You Were Here!" mosaic pool. I loved everything about this place and plan on spending a night or two here next time! Down the Kuhio Ave end of Duke's Lane (I mentioned above) is the new Duke's Lane Market and Eatery which encompasses several small eateries, a bar and a gourmet deli (like a mini Farro). And on the street front there are several more new smaller restaurants. Just down the road from Duke's Market and up an escalator is a new Nordstrom Rack which was very exciting. I only discovered this on our last day when spending funds were well depleted but there were some excellent deals to be had here. It's like a designer outlet and the prices are ridiculous. The shoe section just blew my mind. The shoes are all displayed in their open boxes and are organized in aisles by size which is so awesome. 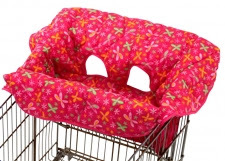 There are at least 6 aisles per size and it's a complete "help yourself" for trying them on. And there is every style you can think of. I didn't see a pair of Nike's over US$40 (which converts to NZ$54 with the current exchange rate). The kids shoe section was amazing as well. I stocked up on Calvin Klein Knickers which were only US$9 a set (NZ$12). Kate Spade was 60% off (although it's even cheaper at Waikele but more on that soon!) Tom Ford, Seven for Mankind, Free People... I can't remember it all but it's definitely worth visiting. Ala Moana Shopping Centre was absolutely incredible as always. It's the worlds largest open air shopping mall. If you can't find it there then they don't make it. A few shops we went looking for had gone - Magnolia Bakery isn't there any more which is a shame if you were desperate to try them and my girls were devastated to find the Sanrio Hello Kitty store gone too. 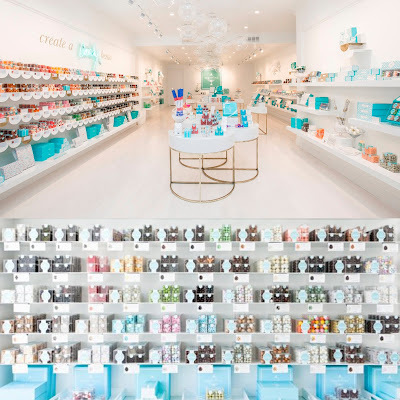 One lovely new shop that had opened is called Sugarfina. 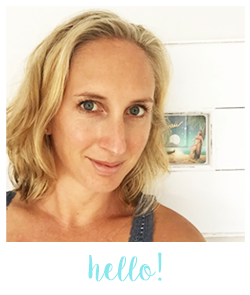 If you're looking for a small but special gift to take home, their candies, branding and packaging is gorgeous! My girls found a very cool product in Bath & Body Works called Shapeable Foaming Soap. It squirts out just like shaving foam but it can be molded and holds its shape. Just add water to dissolve and wash with it. We bought a few cans and it's providing hours and hours of fun for them. A very cool gift to bring back. Something to look forward to which wasn't open when we left but there is a huge Target opening at the back Ala Moana. Three stories of Target! 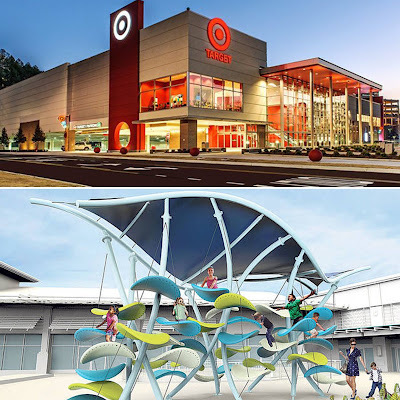 Plus a childrens playground on the third level where Target opens on to Ala Moana. Someone check them out and let me know what they're like when they open! We spent one morning out at Waikele Premium Outlets which wasn't long enough for me but was definitely long enough for my girls. It's very hot out there! But we knew where we wanted to visit and got the things we went for. The star attraction for me is the Kate Spade Outlet which had 80% off store wide. I bought two handbags and a purse for US$250 (NZ$340) and saved US$580 (NZ$780). I mean, seriously! 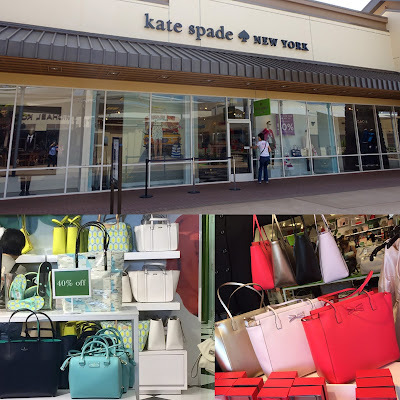 It's worth flying over to Hawaii just to stock up on Kate Spade! One store which I've never had time to visit at Waikele before was Saks Off 5th. We had 10 minutes to kill at the end so went in to cool down in their air conditioning. 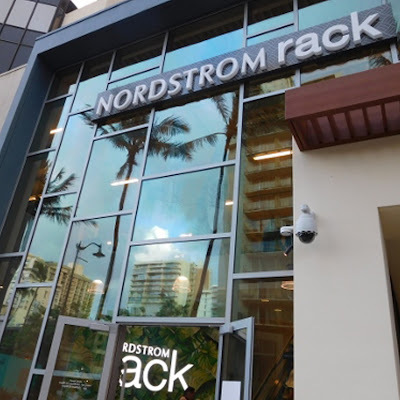 It was very similar to Nordstrom Rack but next level with their brands. Again, the shoes were awesome but that was as far as I got before we had to leave for the bus. (I feel like I keep going on about shoes but I'm not even really a huge shoe person). I'll look forward to returning with more time on our next visit. 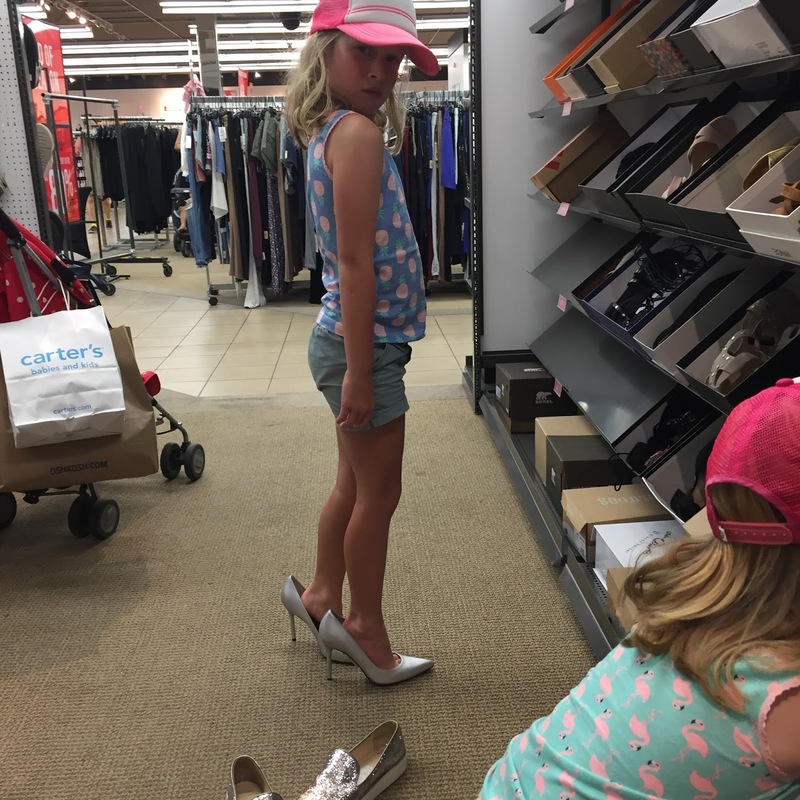 The girls helping my try on shoes at Saks Off 5th - Ha! 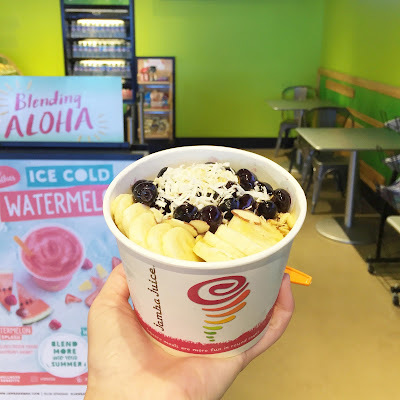 The girls ate breakfast in our room each morning (we took Weetbix, Crumpets etc with us) and then we'd head down to Jamba Juice for smoothies and my daily Acai Bowl. These are SO good. I still crave them now. And they're only US$7.09. Jamba Juice also do an Egg and Spinach Breakfast Wrap for a couple of dollars which was pretty good for a takeaway breakfast. Tiki's Bar and Restaurant make fantastic fish tacos in soft taro burritos for just US$15. 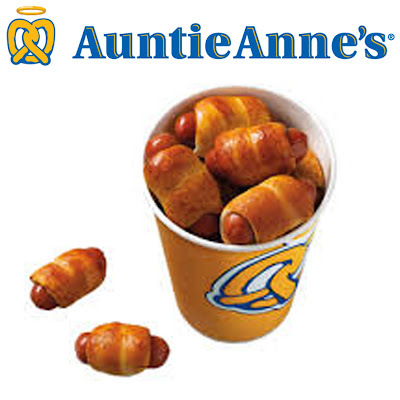 We had these a couple of times and they were consistently good. They are only available for lunch as they change the menu for dinner later in the day. The Blue Ocean Food Buses on Kuhio Ave are another cheap option. My favourite was their Spicy Shrimp which cost about US$13. Their menu is extensive and judging by the cues it's a really popular spot. Turn your back on Blue Ocean and there are two North Shore Shrimp trucks across the road which are just parked there right now but look like the might be opening up for business which would be amazing. If anyone sees them open and selling let me know! 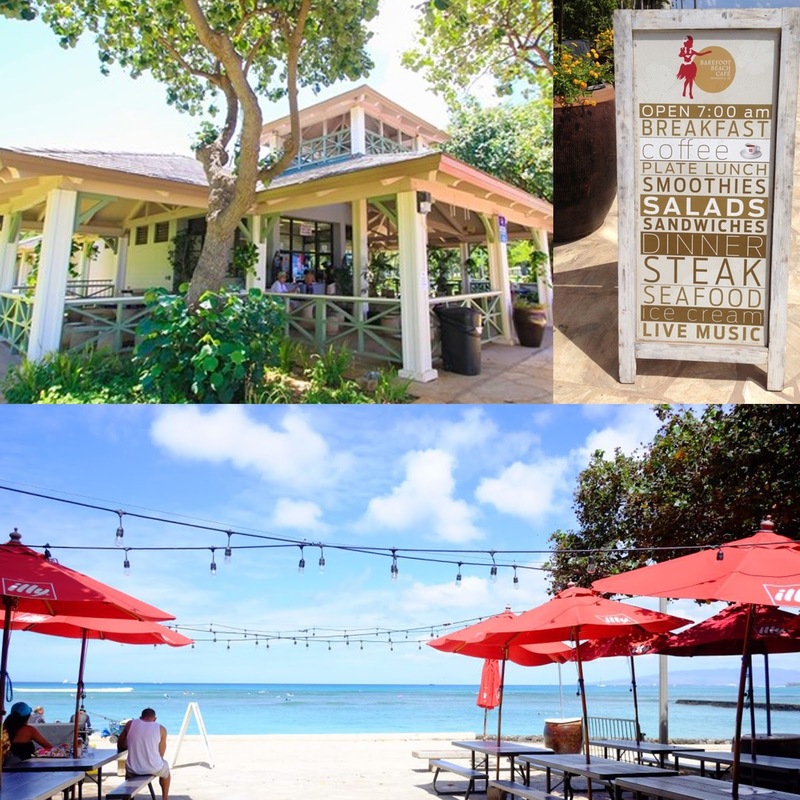 The Barefoot Beach Café is located in line with the entrance to the zoo but on the beach. I got an amazing fresh North Shore pineapple smoothie from there one morning. They serve cheap meals from 7.00am. Omelettes and pancakes start at US$8 on the their breakfast menu and fresh Poke bowls and salads start at US$9 on their lunch menu. Nothing is over US$16. 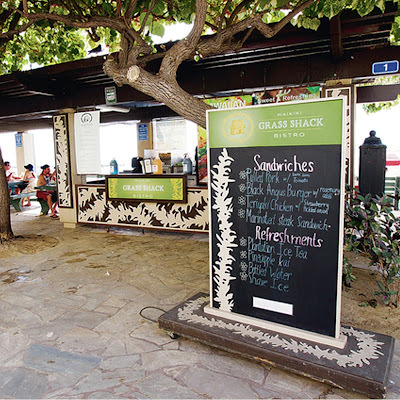 Further down the Waikiki beach is the beach front Waikiki Grass Shack Bistro serving fresh steak sandwiches made right in front of you. They'll run you about US$12 for a very generous sized meal. I recommend the Hawaiian Pork which was super tasty. It's only a tiny little hut with one or two guys working. I had no problems walking straight up and getting my order but I hear the cues can get quite long. 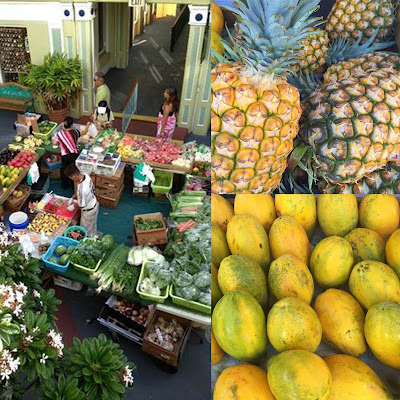 The Kings Village Farmers Market is held right in the centre of Waikiki every Monday, Wednesday, Friday and Saturday from 4pm - 9pm. You can buy delicious skewered kebabs and fried rices for just a few dollars. I recommend heading along to buy your fruit here too. It's much cheaper than the supermarket and is so fresh and lush. There are also fresh juices, salads and baking available - all very cheaply. It's not huge by any means but it's good, fresh, cheap eats. If you're in Ala Moana Mall, Honolulu Sushi in the food court is excellent. Hawaii don't seem to have premade sushi that you can grab and go like we do in New Zealand. They make it for you while you wait and it is very slow but it's fresh, tasty and worth the wait. Honolulu Sushi aren't in the main food court but off to the side by Splash! Hawaii. A tray of 8 pieces will cost around US$10. It was the best sushi we had in Hawaii. Not cheap but worth a visit is Volcano Shakes on Koa Ave. Just like the freak shakes we have trending in New Zealand but with a Hawaiian twist to their name. 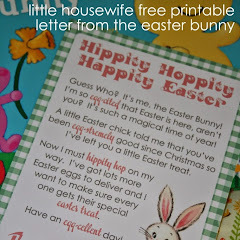 They'll run you US$16.00 (eek!) but they are worth it for the experience and they are really good. They are also really big so the girls shared a Haleakala (Red Velvet) one between them. Activity wise we repeated some of the same attractions that we did on our last trip but here a couple of places I didn't mention in my previous blog posts. The Waikiki Aquarium is a fun place to visit with the kids - especially if you're wanting to get out of the sun for a while. Plus at US$12 per adult and US$5 per child it's a really affordable attraction to visit. 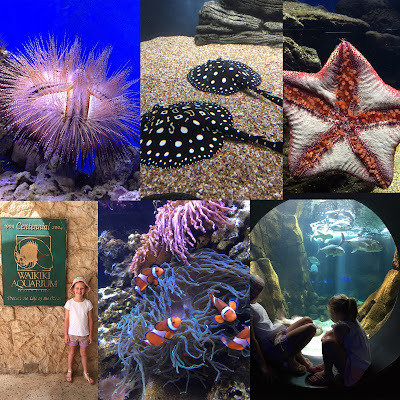 The tanks are full of life and colour with some of the most beautiful and strangest sea creatures you've ever seen before. I had a lot of messages from people about the Kieki Ponds, or locally known as just "The Ponds". 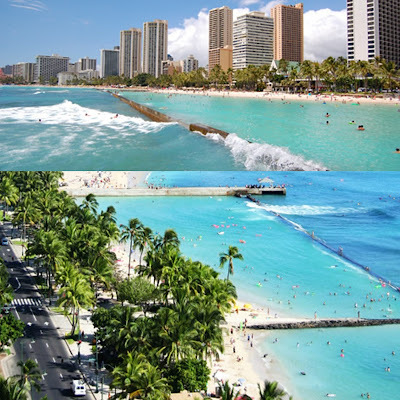 This is two areas of Kuhio Beach in Waikiki where large concrete walls were installed decades ago to stop the big surf waves and strong under tow creating a calm swimming area ideal for kids. There are gaps in the break waters so the ponds are still tidal and excellent for snorkeling. We actually saw more fish in the ponds than anywhere else. If you've got little kids or non-swimmers then this is a great place to take them where you can relax too. There are lifeguards dotted along the ponds for added safety as well as it can still get over your head in depth when the tide is in. 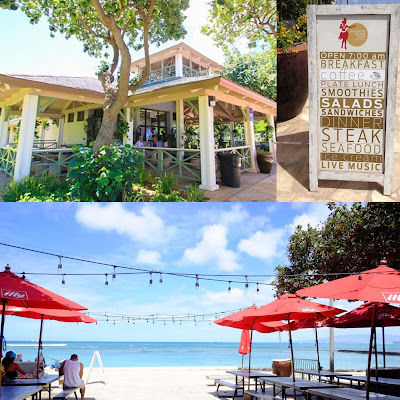 If you miss out on grabbing a shady spot under a palm tree you can hire beach umbrellas by the hour from the local beach boys as well as sun loungers, paddleboards and of course surfboards to take out past the walls. We spent one day down at Magic Island which is a man made beach at the end of a small peninsula at Ala Moana Beach Park. If you're a Hawaii 5-0 fan, this is where they film all the shrimp truck scenes, but filming had finished for the season and we had the beach practically all to ourselves. It's a stunning spot! There is no shade at all on the beach so I recommend taking an umbrella with you. 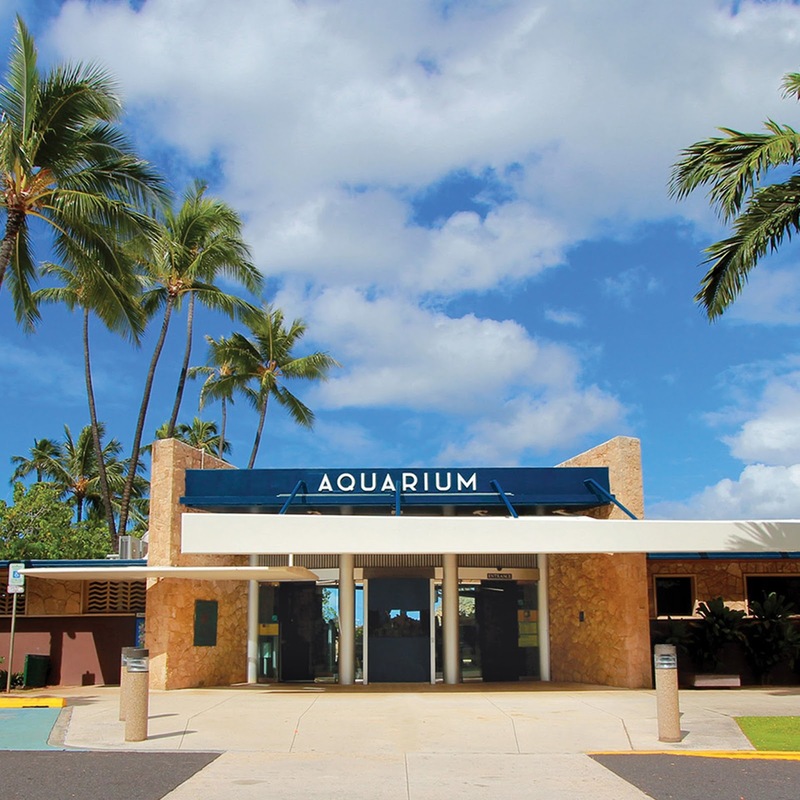 To get there simply catch any bus to Ala Moana Shopping Centre. Turn your back to the mall and cross the road and keep walking out for around 15 minutes. There is a small kiosk in the park but I'd recommend packing your food to take with you as it's not near the beach. Finally, I worked with a couple of my favourite brands while we were away and I just wanted to give them a huge shout out of thanks. Dermalogica provided us with all of our sunscreen for our trip away. 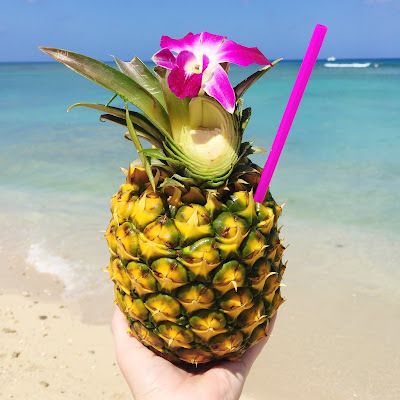 As I've said in a previous blog post about Hawaii, four of the most expensive things in Hawaii are bikinis, sunglasses, ice cream and sunscreen. Odd since that's everything that the state is all about huh! I definitely recommend buying your sunscreen at home and taking it with you. Dermalogica's sunscreen was amazing for the whole family. We all used the Protection 50 Sport during the day and I switched to the Sheer Tint in the afternoons and evenings when we were heading out. Lonely Planet Kids sent the girls some amazing activity books before we went away to help keep them entertained on their travels. Amelia's Amazing Maze Book was a huge hit with Maddie. The activities were too advanced for 4 year old Maisie but were really challenging and entertaining for Maddie. We took the book with us wherever there might be a wait, if she needed to get out of the sun or have some down time. It was a really great travel companion. Our very favourite Coco & Ginger sent the girls some amazing clothes to wear on our travels. 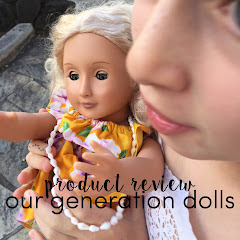 Given that they are designed and made in an equally tropical and sunny climate as Hawaii, they were perfect for the girls to wear on our Hawaiian travels. Most of the items the girls wore are actually from the two new ranges to be released in the next month or two so I've had to keep those photos top secret but I'll be sharing all the info very shortly. In the mean time, here is the gorgeous Wilde Jumpsuit in Botanical Azure from the current Folk Song range. Absolutely beautiful!